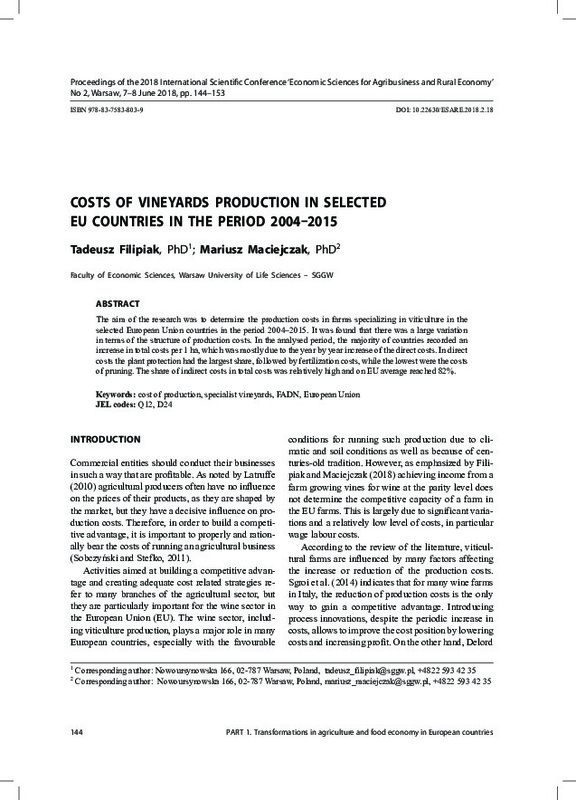 The aim of the research was to determine the production costs in farms specializing in viticulture in the selected European Union countries in the period 2004–2015. It was found that there was a large variation in terms of the structure of production costs. In the analysed period, the majority of countries recorded an increase in total costs per 1 ha, which was mostly due to the year by year increase of the direct costs. In direct costs the plant protection had the largest share, followed by fertilization costs, while the lowest were the costs of pruning. The share of indirect costs in total costs was relatively high and on EU average reached 82%.